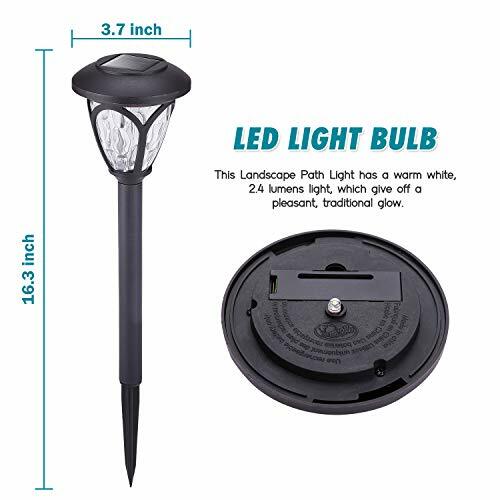 ENERGY SAVING: This garden lamp is powered by solar energy and have warm white LED light.Illuminates for up to 8 hours after a full charge. Enjoy free lighting at night. The included battery is rechargeable and replaceable. IPX4 WATERPROOF AND ANTI-CORROSION: Made from durable weatherproof materials. The unique waterproof treatment method makes the solar lamp work normally in extreme weather. Outdoor paint for anti-corrosion and waterproof,anti-ultraviolet anti-aging. 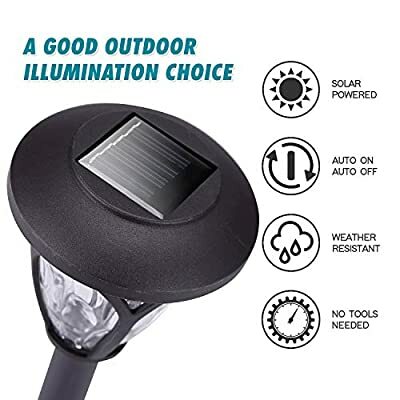 AUTO ON/OFF AT NIGHT LIGHT:Sensitive outdoor solar lights, automatically turn on in the night and turn off in the sunlight. BEAUTIFUL LIGHT SHAPE: The dot texture of the lampshade casts a beautiful huge wave point flower shape. 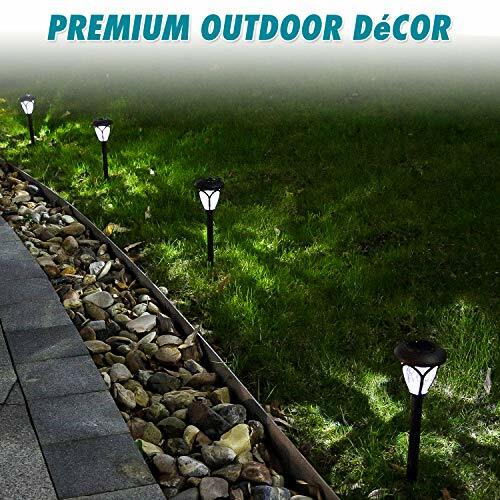 Solar energy lamp can create a romantic atmosphere of your garden and make your space become more elegant and mysterious. 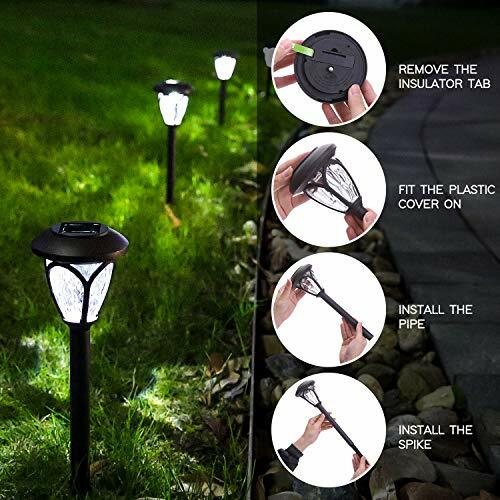 GUARANTEE SERVICE: Once you have purchased our solar lights, we will provide you with 180 days of after-sale protection.